Are Trust Funds Tax Free? Trusts are valid only if they convey assets from a grantor to an independent trustee who manages them for the benefit of third-party beneficiaries. According to the IRS, trusts and estate matters are one of the fastest growing service areas of public accounting. For most, trusts offer a way to avoid probate of their estate after their death. But there is usually little or no income tax savings with a trust because most trusts act as flow-through entities to the grantor's annual income. Even trusts that are taxed as separate entities have a higher tax rate than all but the very highest individual bracket. 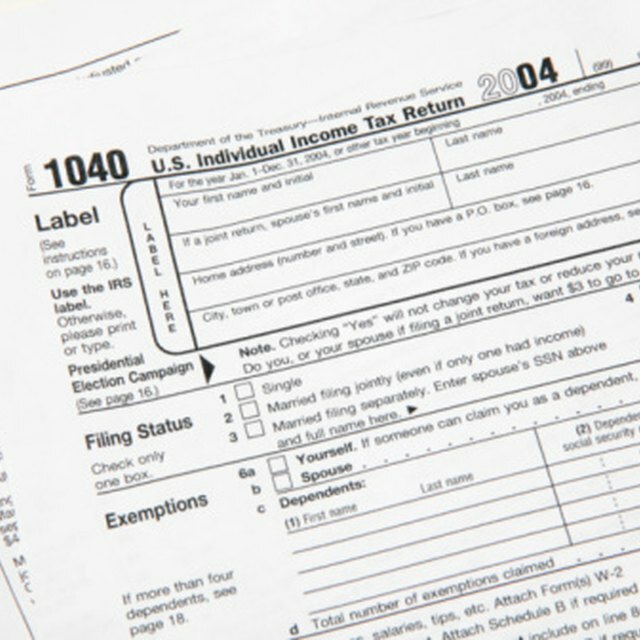 In limited situations, there are ways to defer or reduce income tax liability with a trust. Create an irrevocable trust. Unless a grantor creates an irrevocable trust wherein all his ownership to the trust's assets are surrendered, the trust's income simply flows through to the grantor's income. In forming an irrevocable trust, the grantor is permanently (irrevocably) surrendering the assets. The assets must be post-tax, meaning if they generated income prior to the transfer, the grantor is still subject to a tax liability. Retitle trust assets. To qualify as an irrevocable trust asset, the assets of the trust must be titled in the name of the trust or the trustee or trust, not the grantor. This is a crucial step required by the IRS. Name lower-income beneficiaries. The income generated by the trust's assets are taxed at rate above most individual tax brackets, so they are usually distributed to the beneficiaries, who pay their individual tax rate. If the beneficiary is a low-income individual, subject to a lower rate than the grantor, the income tax liability will be lower than if the grantor had retained the assets. Multiple beneficiaries can be named to prevent the trust income distribution from bumping them into a higher tax bracket, but they must all be identified in the trust document. Name a tax-deferred account as beneficiary. Income tax can be deferred if the beneficiary is a pension, IRA or other tax-deferred account. The treatment of the income upon withdrawal from the tax-deferred account depends on the type of account and when it's withdrawn and, other than the deferral period, might not result in any tax savings. Control of an irrevocable trust must be in the hands of an independent trustee other than the grantor. To be valid, a trust must genuinely transfer both ownership and control of assets. Because the assets transferred to a trust must be post-tax, it's best to transfer assets to the trust before they appreciate considerably to maximize the potential income tax savings. A grantor can transfer pretax assets to a trust as a gift, and thus deduct them from his personal income for the year, as long as the assets remain below the annual gift deduction limit. The IRS prohibits the use of trusts for certain purposes, including depreciation of assets, deduction of personal expenses, division of pretax income over multiple entities, under-reporting of income, failing to report income and masking of transactions. Control of an irrevocable trust must be in the hands of an independent trustee other than the grantor. To be valid, a trust must genuinely transfer both ownership and control of assets. Because the assets transferred to a trust must be post-tax, it's best to transfer assets to the trust before they appreciate considerably to maximize the potential income tax savings. A grantor can transfer pretax assets to a trust as a gift, and thus deduct them from his personal income for the year, as long as the assets remain below the annual gift deduction limit.